I had a clothing exchange a while ago and this dress was one of the gems I acquired. It was more than luck though. 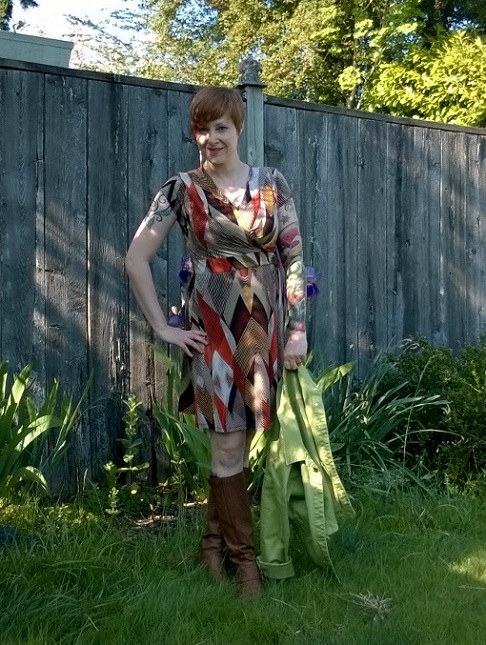 My friend Kristin bypassed the stacks of clothing and hand-delivered the dress to me. She knew I’d love it. 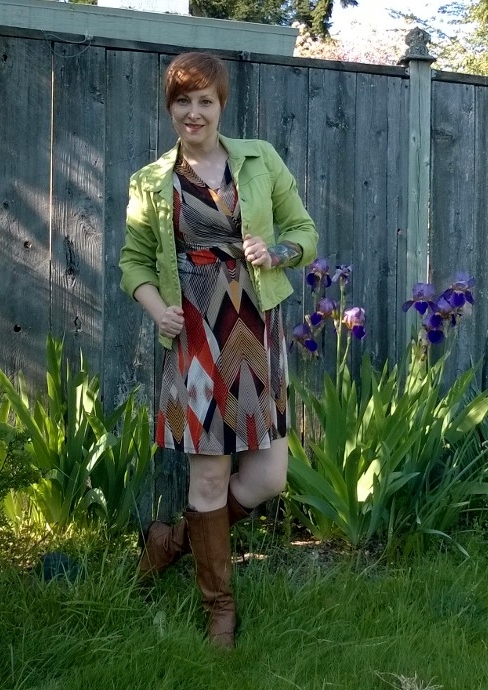 I like the earth tones, geometric pattern, and faux-wrap style. I’ve worn it with tights before and it works great with bare legs too. This time, I wore boots, but it’s going to be great with sandals too. It’s a true all-season dress. Because indoor (AC) and evenings are cool around Seattle, this green jacket came in handy. It’s another swapped find from a clothing exchange I went to a few years ago. I *love* that dress. Also, we just returned from our first visit to Seattle. You have a wonderful city and we look forward to another trip! Thanks! I’m glad my friend knows me so well 🙂 I’m happy to hear you enjoyed Seattle. If you were here recently, you must have had great weather too! Your dress is gorgeous, you look amazing! How kind of Kristen to give you first dibs! Looks great with boots and a jacket, and will be perfect with sandals; so nice when dresses can go all through the seasons. Kristen was so thoughtful to give me first dibs! Aren’t clothing exchanges fun? 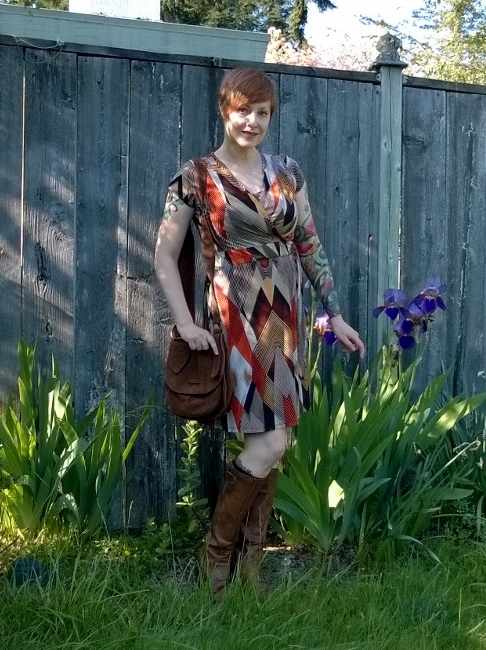 I can’t wait to see how you style your dress from the swap.